Royal Wolf Australia is the market leader and industry specialist in the design, hire, sale and modification of new and refurbished shipping containers. With over 23 years experience and company operated locations throughout Australia and New Zealand, we are the largest container provider in the region. Royal Wolf Trading Australia Pty Ltd was established in 1995 as an Australian domestic container hire, sales and modifications business offering services to both retail and corporate customers. Initially the company was a wholly owned subsidiary of Triton International Inc., the San Francisco based international container lessor. From 1995 through to 2003, the Directors and founders of the Royal Wolf domestic container concept established a network of international business in the UK, Rotterdam, USA, South Africa, Singapore, India, China and New Zealand, together forming the Royal Wolf Group. 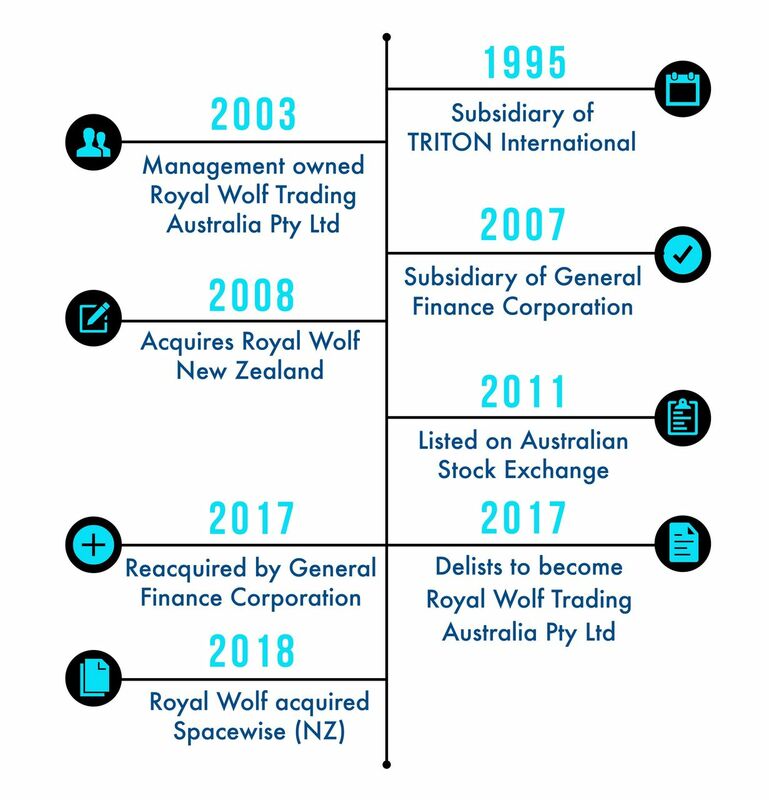 In 2003 Royal Wolf Trading Australia Pty Limited undertook a local management buy-out, to become a wholly Australian owned and operated company. 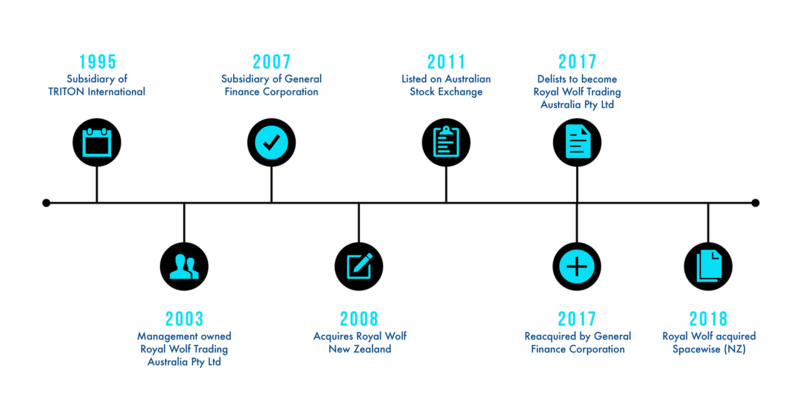 General Finance Corporation, a US public company (Listed on the American Exchange) acquired all of the shares in Royal Wolf Trading Australia Pty Limited during September 2007. In May 2008, Royal Wolf Trading Australia Pty Ltd acquired all of the shares in Royal Wolf New Zealand. In May 2011, Royal Wolf successfully conducted an IPO and was listed on the Australian Securities Exchange. The Royal Wolf network now consists of 39 company locations, including 36 Customer Service Centres, and over 40 regional agents, supporting unrivalled distribution and customer service across the two countries.